Fallout 4 was certainly one of 2015’s best games, offering a vast open-world to explore with plenty of memorable characters to meet along the way and enemies like Supermutants and Raiders to vanquish, in one of the best realized video game worlds ever seen. Bethesda has continued to support the game since its November 2015 release with additional content, the highlight of which was their “Far Harbor” DLC, which was set on a new landmass and had an intriguing story involving the game’s artificial humans (known as Synths) and a sinister cult of atomic bomb worshipers known as The Children of Atom. Bethesda’s recently released DLC won’t feature any new story content though, as like the earlier Wasteland Workshop DLC it basically adds new stuff to play with to the game’s workshop. Most Fallout 4 players got to experiment with the workshop in one of the game’s early quests involving a faction known as The Minutemen, which had players building the settlement of Sanctuary by adding beds, furniture and fountains, amongst other things. 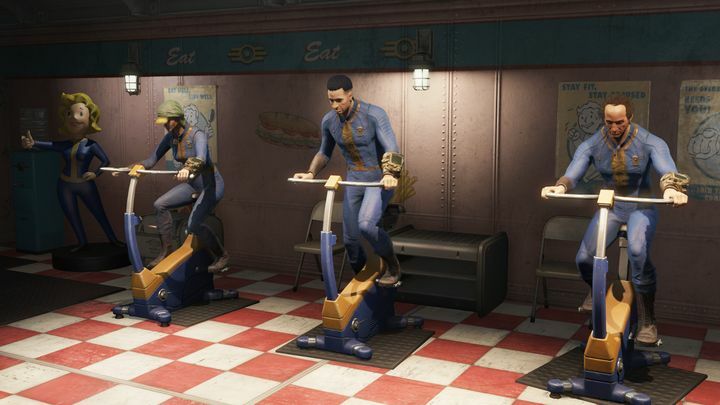 The new Vault-Tec Workshop DLC will instead focus on building a vault by adding rooms and hallways and pre-war amenities to it, and could certainly be appealing to those who enjoyed tinkering with the workshop in the game. 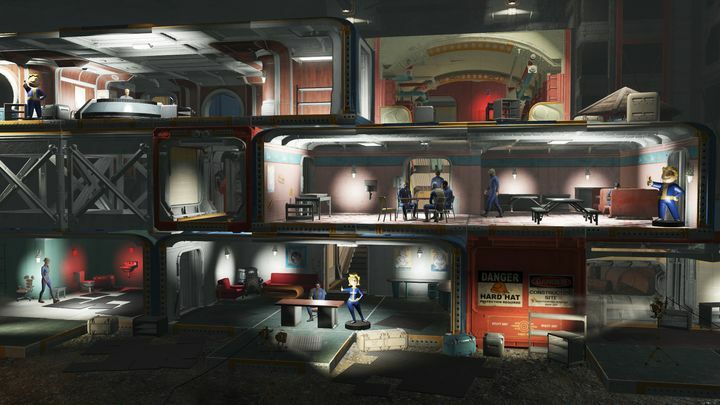 Another interesting aspect of this DLC is that players will be able to attract dwellers to their vault and even run experiments on them… So this DLC’s premise is in a way similar to The Sims, and also to Bethesda’s pretty good Fallout Shelter mobile game, in which players were in charge of a post-apocalyptic vault too. This new DLC is the penultimate piece of content Bethesda will release for Fallout 4 as the final add-on for the game (titled “Nuka World”) will be released next month. Nuka World promises to be a meatier addition to the game, which will include new story quests and will be set in an amusement park turned into a Raider stronghold. In the meantime though, players who enjoy Fallout 4’s workshop and settlement building options can have fun building their own post-nuclear vault with the Vault-Tec Workshop DLC before the final, Nuka World DLC for the game arrives next month. Note: Vault-Tec Workshop DLC was released on July 25, 2016. Available on PS4, Xbox One and PC.